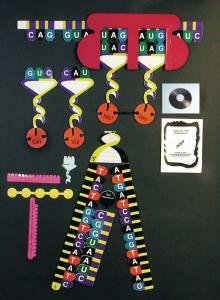 These large and colorful DNA, mRNA, ribosome, tRNA, and amino acid models are visible anywhere in the classroom. 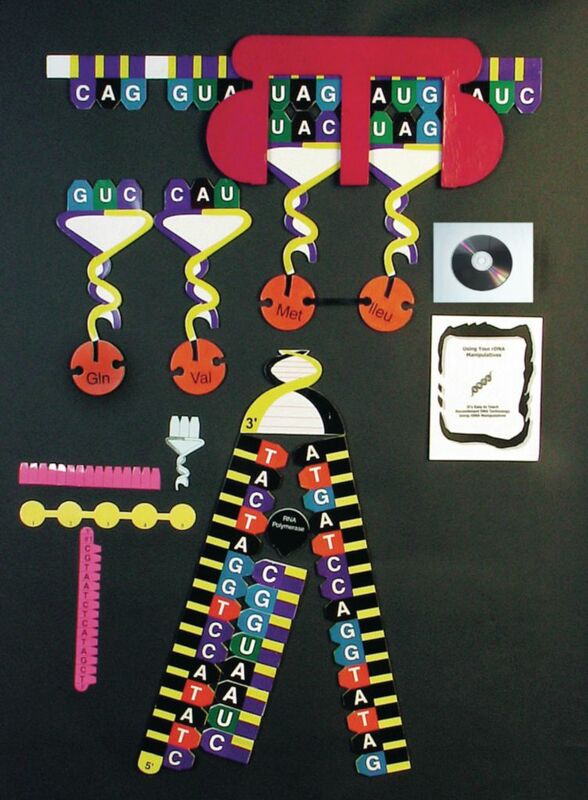 The durable plastic pieces attach to the blackboard and can be manipulated to help teachers explain how protein synthesis occurs. Ordering information: The demonstration set includes materials for 20 students, an instructional video, and a manual with an assessment asking students to identify a resulting amino acid sequence from a unique DNA sequence.